I don’t know the name of the flowers that mysteriously bloomed alongside the driveway of our childhood home at 1735 Asylum Avenue. But every spring you and I posed for pictures in front of that small, jungley flowerbed. We grew up together in that house. 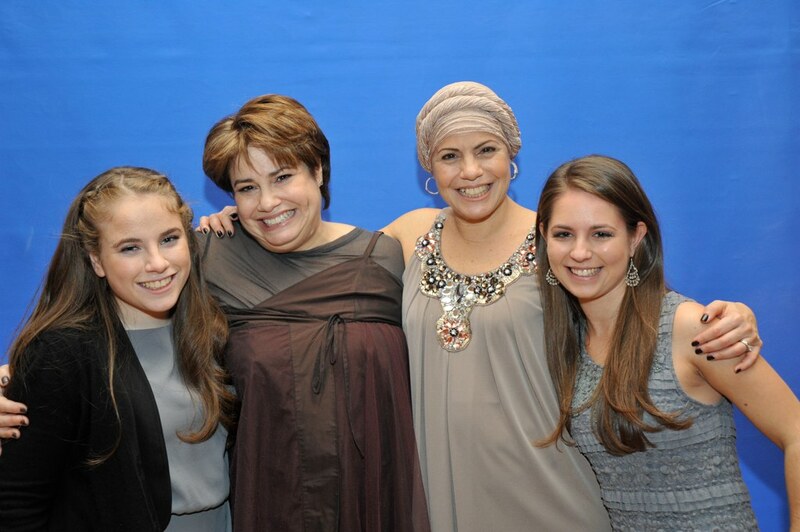 Back then it was unimaginable that someday we would be middle aged and that you would have breast cancer. Until recently, I was always dying to know the future. Remember when we had a bit of trastienda with Mom? Trastienda, one of those words that intrigued me. Trastienda—the back room of a store where secrets are exchanged, fortunes told or blackmail delivered. Consuelo told you to throw water out the window and scream “vaya, vaya,” a sure-fire way of sending away any love that lingered for the wrong man. Obsessive loving—it’s in our genes like eye color. Mom still pines away for Manuel, an old boyfriend who may or may not have actually existed. We were told that if you followed Consuelo’s instructions, you’d have a husband in no time. It turns out that Consuelo (did you know her name means consolation in Spanish?) mixed up our fortunes. Even so, a few months ago I convinced you to go hear a spiritual medium with me in a synagogue on the North Shore. You had just had the biopsy and wanted to avoid the future. But I convinced you that I had questions for our dead father and that you’d want to hear his answers. Surprise, surprise, it was Grandpa Willy who broke through to this world. We were in a large auditorium and there were a cluster of dead Williams hovering near us. The medium—this time young and runway stylish —wore a headset. “Operators are standing by” ran through my mind like a ticker tape. Is God standing by too? The pretty medium explained that families whose dead have the same first name tend to sit in close proximity at these kinds of events. She heard one of the Williams whisper something about breast cancer. She turned abruptly away from us. “Cancel that. No breast cancer for you.” She was talking to another family with another dead William seated a couple of rows behind us. I feel that I’ve learned a lesson at your expense. I don’t want to know anything about tea leaves and tarot cards and mediums anymore. After all these years, you and I still don’t smile much. The first thing the men that we married noticed about us was our lovely, sad faces. We used to laugh, though, when mail came addressed to 1735 Asglum Avenue instead of 1735 Asylum Avenue. Like the annual appearance of those floppy, pink-red flowers lining the driveway, somehow we also bloomed. When those odd flowers popped open, they looked like the O of your mouth when I made you cry. I never left a mark on you, and when you cried the cry of a hurt little girl, Dad snapped at you for crying crocodile tears again. In case you’re still wondering, crocodiles have lachrymal glands, but they only cry to clean their eyes. A crocodile feels no remorse. I hope it’s not too late to tell you that your tears were not the same as a crocodile’s. If you were the crybaby then I was the liar. That moniker still follows me like tails on the kites we loved flying on the fields of Saint Joseph College. Like Scheherazade, I lied to save my life. I taught you that invaluable skill. I was Mom’s favorite—her Siamese daughter who shared her heart and mind and language, until I wanted my own memories to shape and impress my life. You were Dad’s pride and joy—the pint-sized fan that screamed, “Roughing the kicker” at Yale football games. This was in sacred service to Dad’s venerated Elis, so that the team could gain an easy ten yards and a first down. No one at the Yale Bowl was more adorable than you. Dad, a solid man of principle and fairness, could only bring himself to give you a pro forma scolding for bad sportsmanship. On Saturday nights, Dad showed you off to the guests in the living room. “La mas linda della familia.” You were always the prettier one. I pretended to be asleep in my twin bed when he carried you downstairs. I was Leah to your Rachel—the older, dowdier sister that the Bible described as having “weak eyes.” My eyes were an ordinary brown. But Dad said that yours were as “black as Spanish olives.” You were part and parcel of Dad’s infatuation with all things Spanish. Yet most everyone thought we were twins. Mom dressed us in fancy matching outfits for those spring pictures, while she refused to change out of her housecoat. Isn’t it weird that the mystery flowers started dying off when Dad began to forget how to get home from the supermarket? I thought those flowers would last forever. Sometimes I tear up when I remember the lawn guys hacking away at the last remnants of our odd little patch of garden. Chemotherapy has balded you down to the last root of your thick dark hair. Remember how much we loved the song “Gypsies, Tramps and Thieves?” There’s no one who can pull off a headscarf and hoop earrings better than you. The other day I was walking up the stairs in your house and I thought you were sitting in your guest room—your back was to me—and you were wearing the wig. I was surprised because you said the wig was hot and itchy. I was further startled when I called your name and your voice answered me from another direction. In the 60s Mom’s wearing a wig was as subversive as burning a bra. The wig was her reprieve from constantly teasing and wrapping her long mane of hair that Dad insisted she never cut. I was so scared of Mom’s wig that I couldn’t be alone with it in her bedroom. Turns out, your wig was also displayed on a macabre sculpture—a head with a nose and mouth and eyes as blank as white space. Mom called her piece of lifeless hair a fall and anchored it to her head with stretchy, colorful headbands. But I liked it best when her hair was pulled up as if she was ready to wear a mantilla. She never had the kind of patience for my knotted hair. Bolones is what she called my clots of hair that she pulled at with a plastic comb. After your buzz cut you were startled that Dad looked back at you in the mirror. His face was transposed on yours, complete with the same weary and watery eyes. You’re bulldogs the two of you. Dad’s Yale bulldogs that you rooted for too. When you found the lump lotioning up in the shower, you had no idea this would be the scene of another trastienda. Your fate was sealed when all you wanted was to smell good to meet your favorite and only niece’s boyfriend—my daughter’s first love. I panicked when my baby’s courtship took off. “It’s not the same,” you said. “She has a loving home. If she falls apart she knows you’ll be there to put her back together.” You also said that I would have been as happy as my girl l if I’d had a loving mother. I’d settle for a mother—warts and all—who simply had had good intentions. Until you had breast cancer, I thought margins only existed on sheets of paper. But margins are also hurdles you had to jump over. As in, your margins needed to be further cleared. After the lumpectomy you had a second surgery to widen what I imagined this time as a protective border of white space. If your numbers were any higher you would have needed a mastectomy. At your insistence, soon after your diagnosis, I went to an artist’s colony for three weeks. I was 1500 miles away and floating through what I can only describe as a valley shadowed by despair. No treatments were scheduled for you until I returned. The truth is that no course of treatment was decided for a couple of months. The mills of the cancer gods grind slowly. That’s a tagline for a fortune cookie. Our readiness for the battle thrills me. And scares me. Scares me as much as the short haircut I vowed to get. I was in sixth grade the last time I had short hair. My hairdresser initially refused to cut my hair as short as I wanted her to. “We’ll do it in two stages,” she said. “One stage. Like my sister’s cancer.” But she was insistent that it was too much change at once. After the haircut my hair was shoulder length. The first time I saw you bald I went back to the salon without an appointment and said, “Round two.” People gathered around me and said I was so brave. Hair grows back for goodness sake. But I can’t stop stroking my phantom ponytail. You cried when you saw me with short hair. You said you were so sorry you changed our family history for the worse. Our health is collective, like our girlhood. Since your diagnosis we’ve been bargaining with everyone from doctors to employers to a God who acts enthroned and entitled. Here’s the only deal I want to strike: next spring we have a lush, veritable garden of our new lustrous hair. And then, I imagine, we’ll pose for another picture. *Please note this is an older piece. Thank God, my sister has come out the other end and among many things has a beautiful head of hair. Boom goes my generation with all of the energy and chaos of an atomic blast. Born between 1945 and 1964, there are seventy-six million of us in the United States. Boom goes my generation as we take our places on a historical continuum of social and political revolutions. Boom goes my generation as we take care of aging parents and the children many of us had in our thirties and forties instead of our twenties. 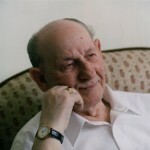 I write this column in my mother’s room at the Hebrew Senior Life Rehabilitation Center. Her house has just been sold. At the moment, her world has shrunk down to one bed as in, “a bed’s come available.” She’s been poked and prodded and operated on while, boom, my siblings and I chase her benefits, balance her checkbook and watch her assets dwindle until Medicare kicks in. I also write this column after reading Susan Kushner Resnick’s funny, poignant and storied memoir about her relationship with a loveable, difficult Holocaust survivor named Aron Lieb. Boom goes my generation and some of us will blow up before we can appreciate the multi-generational relationships that can so enrich us. Kushner’s memoir is a vital reminder of how important it is to reach across the generational divide, and simply put, love each other. 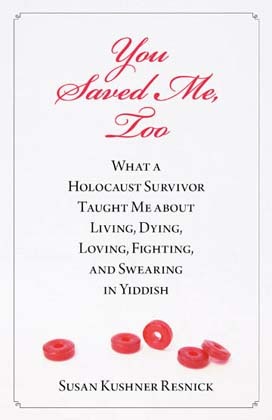 The title alone—You Saved Me, Too: What a Holocaust Survivor Taught Me About Living, Dying, Fighting, Loving and Swearing in Yiddish— maps out Kushner Resnick’s book to some degree. The reader is cued into the fact that it is also a Yizkor book—A Book of Remembrance. Kushner Resnick tracked down the prototype of such a book about Zychlin—Aron’s shtetl in Poland. “This is not your first appearance in a book,” Kushner Resnick writes to her dear friend. “The other one, published when I was eleven years old [in 1974] is called The Memorial Book of Zychlin.” Boom. Most of that generation of Europe’s Jews disappeared in a pestilent cloud of Nazi genocide. You Saved Me, Too is also a quixotic book. For anyone who has shepherded a parent through the murky health care system, Kushner Resnick’s advocacy for Lieb’s benefits and his dignity will resonate, deeply and painfully. Kushner Resnick is not shy about indicting the Jewish community and its leaders for Lieb’s benign neglect. In her tongue-in-cheek style, she takes on the honchos, the machors, who made empty promises to help a man who bore the ultimate tattoo of Auschwitz. Although Kushner Resnick, is speaking metaphorically, there are 3G grandchildren who have actually tattooed their grandparents’ numbers on their arms. It’s a radical act that has stirred up as much pride as it has consternation among their survivor relatives. Those numbers are also an address of unimaginable tragedy and entrenched optimism. For all of his heartache and kvetching, Lieb survives because he has dealt with unbearable horror as much as he has thrived in the small joys of life like meeting his friends for a daily cup of coffee at McDonald’s. With no significant family willing to care for him, Kushner Resnick becomes Lieb’s healthcare proxy and has power of attorney over his affairs. She secures his reparations and learns that she has to open a separate account so that the money is not taxed and therefore not counted as an asset. Boom. She learns that the Boston Jewish community pays mostly lip service to the survivors among them and that it’s a problem also prevalent in Israel. 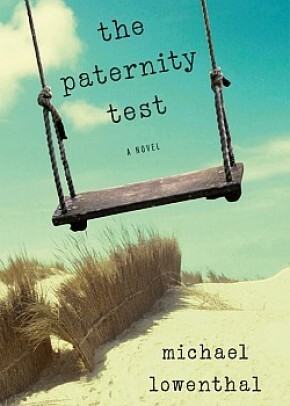 Halfway through the book she questions her involvement in Lieb’s life. “I can’t write anything conclusive until I figure out why we’re together,” she says. “Some writers say they find the answers by writing their way towards them. But I need to know the last line before I type the first word.” I think I know what she means. My mother sleeps as I type these last words about Aron Lieb and Susan Kushner Resnick, the woman who made his life a blessing for the world to read. A day on which a life changes forever always begins as ordinary – so ordinary that thereafter, daily life is a deliberate celebration. And so begins Roy-Bornstein’s extraordinary account of the minutes, hours and days following her son Neil’s accident with a teenage drunken driver. On the night of Jan. 7, 2003, 17-year-old Neil and his girlfriend, Trista, set off on foot for the short walk between his house and Trista’s. The driver who ran down the two of them sped away from the scene. Neil survived the accident. Trista did not. 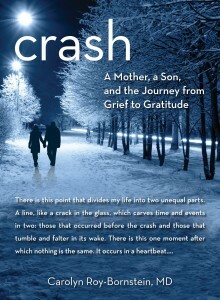 Nine years later Roy- Bornstein garnered enough perspective to tell the story of the accident that changed her family’s life with humanity and love. Roy-Bornstein notes that even as a physician she was unaware of the subtle long-term effects of traumatic brain injury (TBI). After Neil’s accident, she educated herself about TBI and over the years has become a de facto ambassador for the Traumatic Brain Injury Association of Massachusetts. Her role includes educating other health care professionals as well as the general public about TBI. Roy-Bornstein’s advocacy on behalf of TBI patients and their families also extends to education about concussions: “I’m trying to get the word out about concussion and its long-term effects on kids. In July of 2010, Massachusetts instituted new guidelines for public, middle and high school students that require coaches who suspect a concussion in their student-athlete to sit them out for the rest of the game or practice. We’re trying to change the culture in youth sports and the old mantra of ‘If you can walk, you can play’ to ‘When in doubt, sit them out.’” Roy-Bornstein has shared her expertise on the subject on WBUR’s “Radio Boston” and on the lecture circuit where she educates healthcare professionals and social workers about concussion and traumatic brain injury. “It’s become my passion,” she says. Roy-Bornstein’s passions also include advocating for victim’s rights and health issues related to teens and drinking.